This study investigated the factors of middle school math student self-efficacy and perceived peer support in relation to student willingness to participate with in-class activities with an interactive white board (IWB). One-hundred and five seventh grade math students were assessed on their attitudes of IWB engagement in relationship to low (easy) and high (difficult) mental load math problems and their willingness to demonstrate math problem solutions on a classroom IWB. Students with higher math self-efficacy and perceived peer support indicated that they were more willing to participate with in-class IWB activities. A majority (85%) indicated some form of agreement that they learned math from watching others use the IWB even if they did not choose to actively participate themselves. Olsen, A., LeMire, S. & Baker, M. (2011). The Impact of Self-Efficacy and Peer Support on Student Participation with Interactive White Boards in the Middle School Math Class. 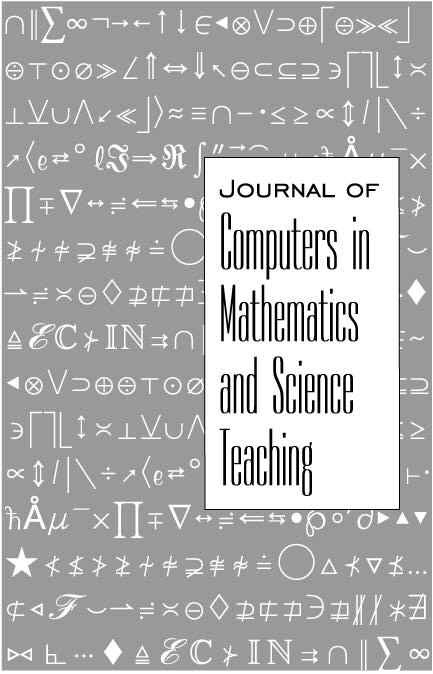 Journal of Computers in Mathematics and Science Teaching, 30 (2), 163-178. Waynesville, NC USA: Association for the Advancement of Computing in Education (AACE). Retrieved April 18, 2019 from https://www.learntechlib.org/primary/p/33208/.